Oh, Barcelona, you confusing little minx you. You’ve got everything going for you…the beach, Gaudí, incredible seafood and and an equally great night life. You’ve also got hordes and hordes and hordes of tourists. And tourist menus. And employees looking to take advantage of tourists. Though I am a traveler, I can’t stand tourists. Ok, let me rephrase that. I love fellow travelers and think it’s amazing whenever anyone decides to venture out, but I get extremely overwhelmed in crowds and grumpy when the streets are flooded with people taking pictures and staring at maps. Times Square is my personal hell and sometimes the streets of Barcelona seem to be mini-versions of that hell. What a positive way to start off a post, eh? Well, despite the hellish bits, I can’t say I’ve ever not enjoyed myself in Barcelona. I hopped up in 2012 with a wonderful travel companion and we had a blast eating our way through the city, wandering the quieter neighborhoods and causing trouble after-hours. I knew that Barcelona would never be my favorite city in Spain, nor top 5, but it was fun and lively and an enjoyable escape. An escape I probably wouldn’t jump to take again. When my mom suggested renting a flat in the city for New Year’s after our whirlwind central Europe trip, I can’t say I was thrilled. I had my sights set on Istanbul or Amsterdam…something more exotic than the much-exploited Barcelona. After some thought, I realized it would be nice to introduce my dad and brother to the side of the city I’d seen, and I agreed to give it another shot. As always, I was surprised by how much different my experience was this time. It was so lovely to feel the sun warm my bones after a month in Germany and Switzerland, and even better to see the wonder in my father’s eyes as he got to know the second Spanish city he’s ever visited. Sure, there were perhaps even more toursits than there had been on my first visit, but my family’s excitement for the jewels of the city helped me forget the less thrilling parts. We took a different approach this time around. With a whole flat in the beautiful Gracia neighborhood we got to really live the city, feeling comfortable and at ease with plenty of time to see everything. We were right down the street from the Gaudí houses, which made for mind-blowing eye candy on each venture out of the house. 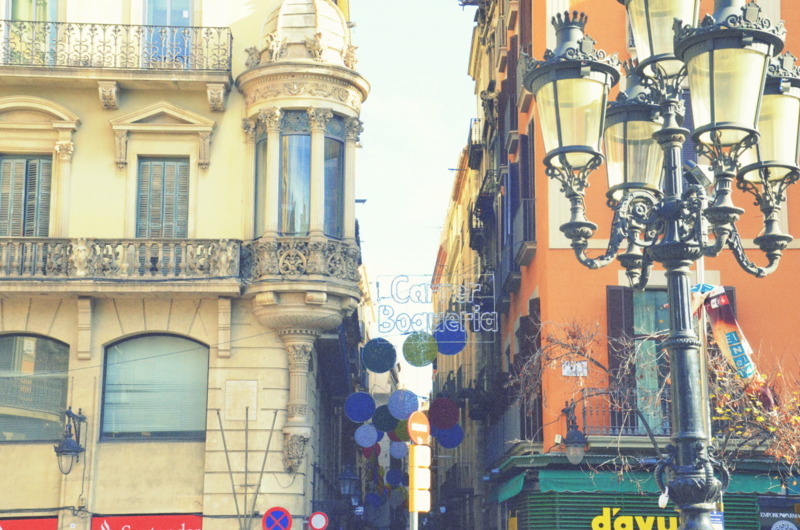 I tried to take a cue from my dad’s childlike curiosity and focus on the special details of Barcelona instead of acting like a snobby Madrileña with my nose turned up at the very idea of the city. 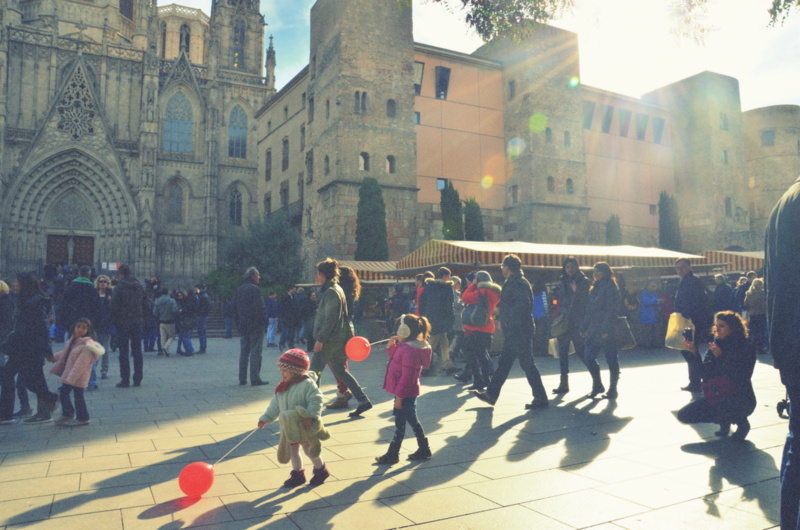 I was reminded once again how important attitude is in travel as my experience drastically changed once I talked myself out of the scowl that crept up at the sight of the crowds at the Sagrada Familia. The unfinished building is a true wonder and breathtakingly stunning; a couple hundred chattering foreigners should never ruin that experience. Every so often I would catch glimpses of my dad and brother in different parts of the church, passing headphones back and forth as Danny DJ’d the tour with Bach symphonies. They are such a special pair and knew just how to create the most powerful sensory experience for themselves. I realized that I had the power to tune them out and enjoy the jaw-droppingness of it all instead of getting annoyed by the groups pushing their way through, so I did just that. My family was the perfect group to spend a week with in Barcelona. We ate Spanish breakfasts every morning, complete with tostadas and rich café con leche, complemented by macarons that my mom picked up from the French pastry shop next door. On New Year’s Eve my dad and I woke up bright and early to pick up the fixings for a feast at La Boqueria market: clams from Galicia, fresh parsley, garlic and lemon, the creamiest jamón de bellota and plenty of cheese. 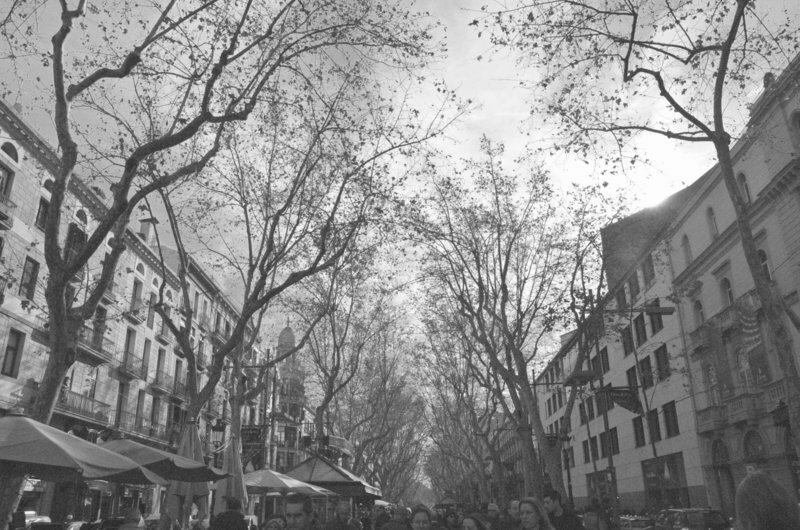 I loved walking down Las Ramblas without a sign of the regular crowds, just locals on their way to work and abuelas picking up the family’s daily bread. I remember thinking that if only Barcelona were like this every day, I just might fall in love. That night my mom worked on a salad as my dad prepared his linguini with clam sauce with all our fresh ingredients, my brother played his guitar and sang and I sipped champagne while passing the jamón and olives around for everyone. We ate 12 grapes as Barcelona erupted into fireworks and happy shrieks and felt so lucky to be in such a vibrant city to kick off 2014. 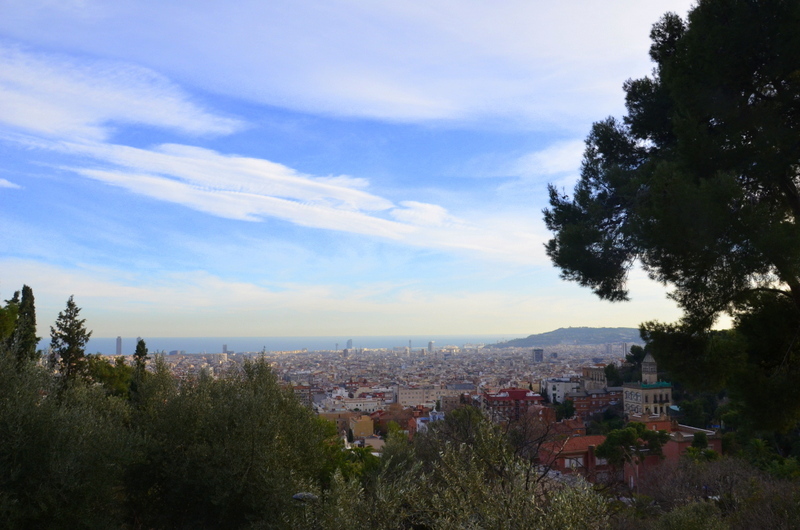 Living Barcelona like a local showed us a whole new side to the city, and I’d love to go back and try life outside of the center to get an even more authentic taste. 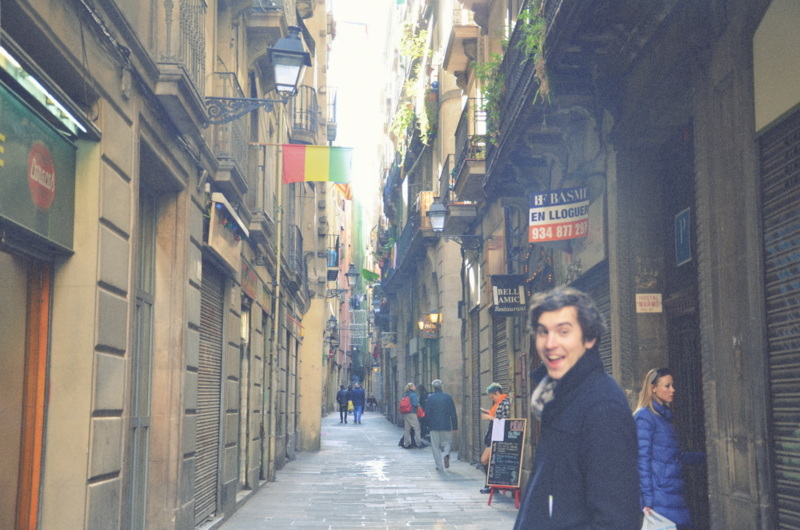 I may not be in love with you yet, Barcelona, but you’ve certainly piqued my interest.